Abbie Live! 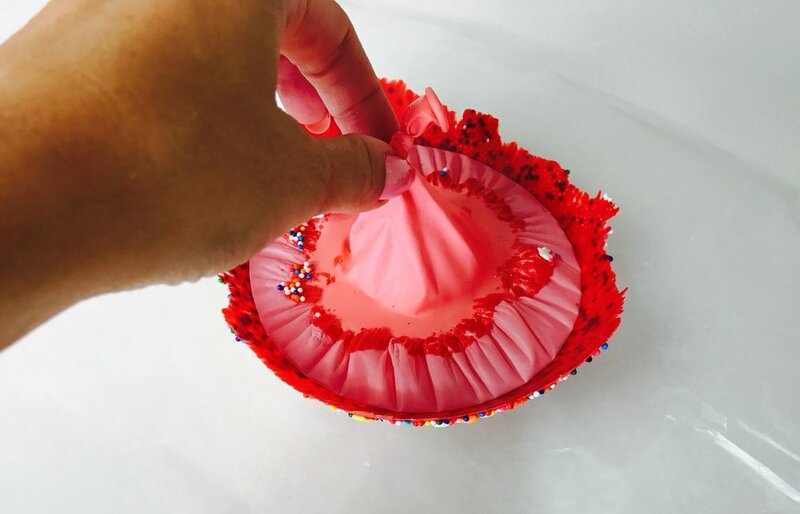 | DIY Ice Cream (Balloon) Bowls! Watch my REAL-TIME TUTORIAL HERE! Please SUBSCRIBE to my YouTube channel for more DIY videos, cooking segments with my kids, and LIVE interviews with people I find inspiring! I don't even like sprinkles (shocker, right?! 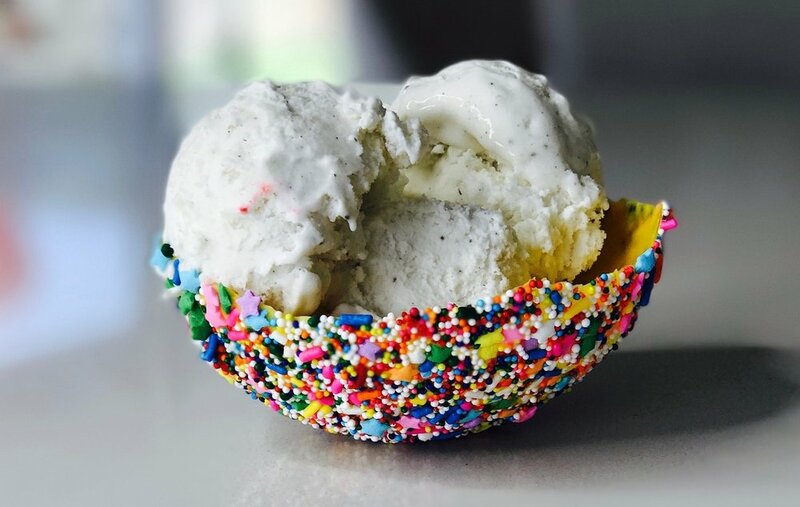 ), but I swear, these sprinkle ice cream bowls are the most amazing special occasion snacks in the world. It's that pairing of melted chocolate, sprinkles and ice cream that will bring a smile to your face and have you (and your kids) begging for more, more, more!! They are truly just as much fun to make as they are to eat - and because of that - I need to show you how to make them!! Let's get started. 1. Wash your balloon and blow it up -- not too big -- then set aside. 3. In a separate bowl, add a variety of sprinkles. You can also use some mini-marshmallows. Really, anything that will stick to chocolate would work out well! 4. Once the chocolate has cooled, grab your balloon and brush it onto the bottom of the balloon, creating the shape of the bowl. Promptly dip your chocolate-covered balloon into the sprinkle mixture. Be sure to cover all of the chocolate! 5. Lay your balloon bowl onto a sheet of wax paper and place into the refrigerator. It only takes about 10-15 minutes to harden. 6. Using scissors, cut a small slit at the top of the balloon. It will deflate very quickly (this is the fun part!!!). Then carefully peel away the remaining part of the balloon. Now, your ice cream bowl is ready to go!! 7. You can store the bowls in the refrigerator or freezer -- just use wax paper to prevent them from sticking to each other. When you are ready to use them, add ice cream, and enjoy!